Hi! I am teacher Ira of Native Camp and I am 25 years old, I am a music lover and I love to play the piano.I also love to travel and explore. I started teaching English during college at the age of 16, my students were mostly Koreans and Japanese. English has always been my favorite subject and teaching is my ultimate passion. As a teacher,I am a friendly,You can't learn English by yourself, you'll need a speaking partner, that way you can be a user of English rather than just learner of English, that's what I'm here for! I am also a patient and a dedicated teacher . I always make sure that my students will not just learn but most importantly, master and be more confident in speaking English. Thank you for your time! I hope you gain an insight about me, if you're looking for a teacher who is not afraid of a challenge, then "Make the choice and experience Native Camp! See you in my class!" and have a wonderful day! 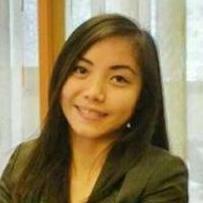 "Teacher Ira got a Bachelor of Science degree in Business Administration major in Business Management. Her greatest achievement was being a Dean's Lister last 2014 and a Top Agent at her company last 2015. Her hobbies include watching movies and series, traveling, playing the piano, surfing the internet and playing sports. She used to work as a Customer Support Specialist in an American Company for 2 years. She wants to become an ESL teacher because she'd like to share her knowledge to other people and help others communicate in English confidently and fluently. She's optimistic and a good listener. She'll be best suited for beginners and intermediate level students." She’s a great teacher. I always enjoy free conversation after we finish our lesson.